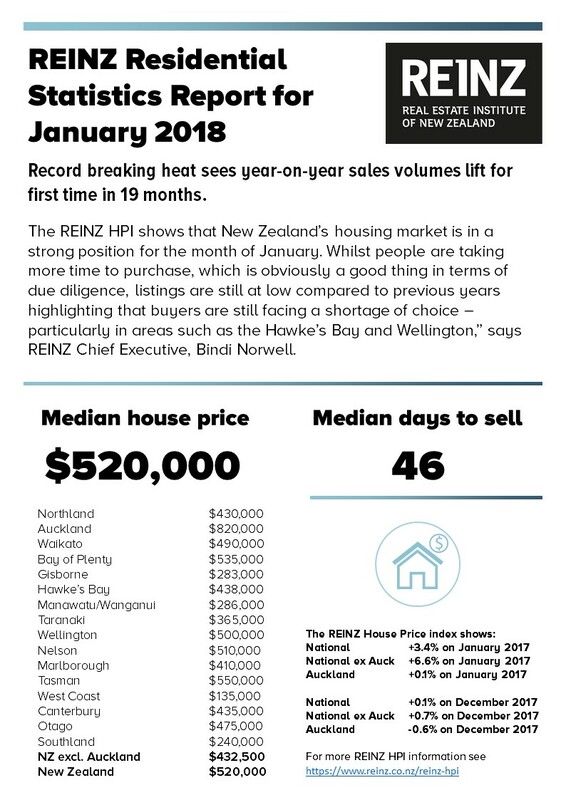 The latest property report from REINZ shows that the median house price for New Zealand increased by 7.1% to $520,000, up from $485,500 in January 2017. The number of properties sold in Auckland increased 0.9% year-on-year to 1,157 up from 1,147. • Gisborne – up 12.5% (36 compared to 32 in January 2017). Looking at the decrease in median price in Auckland, much of the reduction is attributable to the decreases in Manukau City, Rodney District and Waitakere City which were down -10.2%, -4.3% and -2.8% respectively.